A heavyweight product, built for strength – ideal for use in riding schools and large livery yards - with anti-slip strips to aid safety and cut-out handles to make it easy to move around. Can be left out in all weathers. Choice of 7 colours! 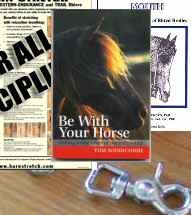 We use the 4-step version at Bitless Bridle Equestrian Centre and it is excellent!